We offer Filtration Systems for various applications in different industries. Our range comprises of filtration units and portable filtration systems. Owing to our specialized team of engineers, we fabricate a wide range of hydraulic oil filtration unit. 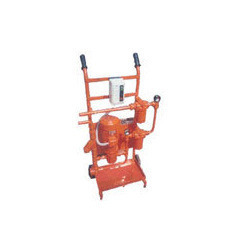 These filtration units are used in the purification of oils and chemicals by removing dust and other sediments. Designed in accordance with the international quality norms, these are acknowledged for their sturdy construction, resistance to corrosion and durability. Further, these are available in standard as well as customized specifications to the clients. 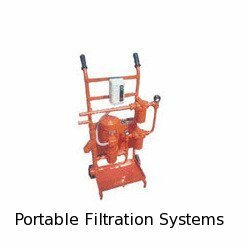 We offer an impeccable assortment of portable filtration systems that is applicable in diverse industries. Customized in accordance to our client’s requirements or the specific industry, these portable filtration systems are sturdy and durable.